Let Costa Rica Outdoors Help Plan Your Dream Medical Vacation! As you must already know, Costa Rica is world renowned for medical tourism / medical travel. There is a reason why more savvy patients are choosing Costa Rica. Medical Tourism / Medical Vacations are terms originally coined by travel agents to describe the extremely popular tr end of traveling abroad for medical procedures. The reasons that most people consider medical tourism are numerous but the two most important reasons are to receive a better level of care coupled with a much better price. Costa Rica has evolved into "The Destination" for medical procedures at reasonable prices. State-of-the-art medical facilities along with world class surgeons insure that your dream procedure will be successful. Costa Rica has rapidly become known as the "Cosmetic Surgery" capital of the world. Everyone knows that Costa Rica boasts incredible scenery and a storied history, but the increasing cost of medical care has made Costa Rica a true Medical Vacation Destination. 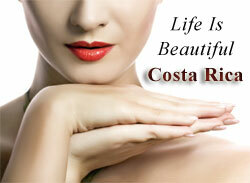 Costa Rica is "the" place to go for plastic surgery, cosmetic surgery and many other procedures. A typical cosmetic surgery procedure will cost 65-75% less than comparable procedures in the United States. Why not save money, take advantage of skilled internationally trained Doctors and visit one of the most beautiful and unique countries in the world. There is no need to sacrifice quality or pay more when you can choose Costa Rica for your cosmetic surgery procedure.